The Tend Insights V-Series Video Monitors help you stay connected to the people, places and pets that you value most-no matter where you are in the world. Now all Tend Insights V-Series Video Monitors include Lifetime 1-Day Cloud Storage. With Lifetime 1-Day Cloud Storage, recorded motion-triggered video clips from the past 24 hours are stored in the cloud so you can rest assured that you’ll never miss a moment. For unprecedented insight, Smart Detection, 14-Day and 30-Day Cloud Storage with Smart Detection plans are available for purchase. Smart Detection ($2.99/mo.) uniquely integrates computer vision technology to intelligently filter alerts either by "Activity" (reports moving objects ranging from a rolling ball, vehicle in the driveway, or family dog) or "People" (reports only human movement) to reduce false alarms by up to 98%. 14-Day ($9.99/mo.) or 30-Day Cloud Storage with Smart Detection plans ($19.99/mo.) 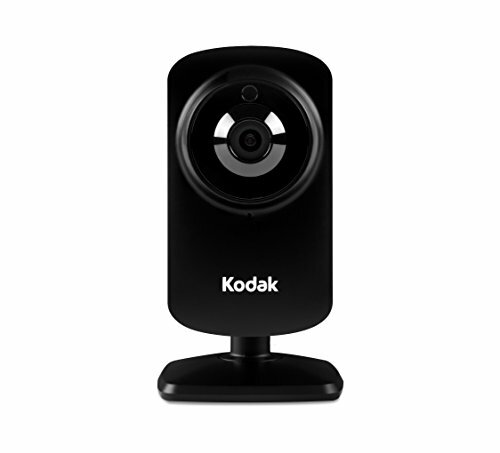 include Smart Detection, 1000 favorites and the ability to view motion-triggered video clips for a longer period of time. The Tend Insights Video Monitor CFH-V10 is a rare combination of value and innovation. Check in on your pets or loved ones with smooth HD streaming video, crisp two-way audio, and automatic night vision via the free iSecurity+ app (iOS, Android) for your smartphone or tablet device. Motion-triggered notifications are automatically sent to your mobile device for real-time alerts. The state-of-the-art low lux CMOS imaging sensor with cutting edge IR filters offers exceptional daylight images with vibrant colors and powerful night vision performance. A built-in Wi-Fi extender also expands your existing wireless home network coverage to boost your connection. Whether you’re at a friend’s, at work, or on vacation, you can view what matters most to you within seconds.